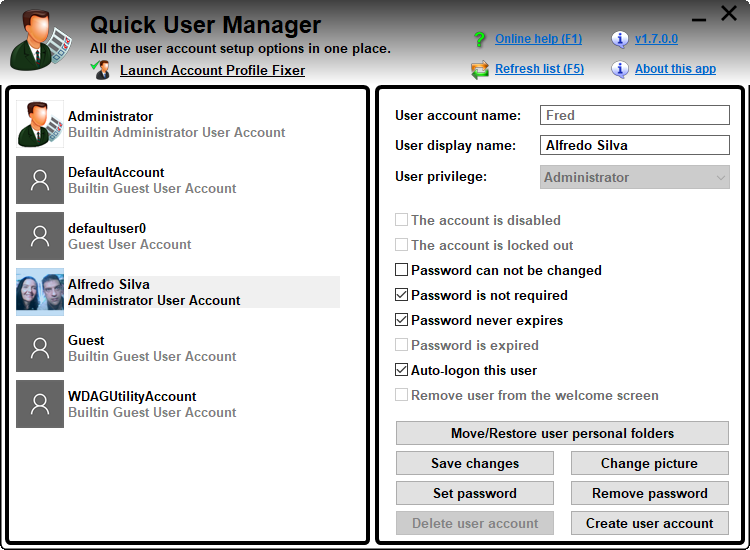 Quick User Manager is a portable tool, featuring all user account management options in a simple, intuitive interface. Quick user manager is also part of our premium tool UVK - Ultra virus killer. You are able to change user account settings, such as disabling/enabling the account, clear the lockout state, auto-logon a user, and remove user accounts from the welcome screen. 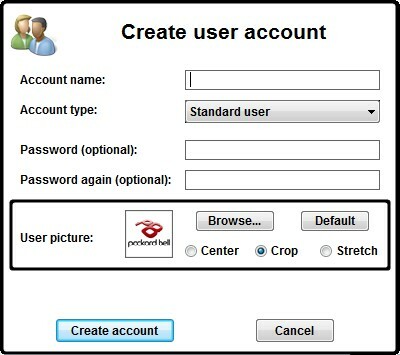 You can also set the picture associated with a user account, set or remove its password, delete and create user accounts. The latest versions of this tool also include Account Profile Fixer, which helps you to repair issues on broken user accounts. The latest version of this application also includes our Account Profile Fixer tool, which allows you to easily repair a corrupted user account. Quick user manager was built with simplicity and ease of use in mind. All the features are shown in the main interface, so you can perform the desired changes with just a few clicks. For more information, please see our help content. Quick user manager is free software, currently only supported by donations. This feature allows you to change the location of some of some of your personal folders, and also restore their default location. To access this feature, select the account of the currently logeed in user, and then press Move/Restore user personal folders. This will display a dialog box similar to the one in the picture below. You can change the location of the following folders: Desktop, Documents, Downloads, Music, Pictures and Video. The list shows the current and default location of those folders. 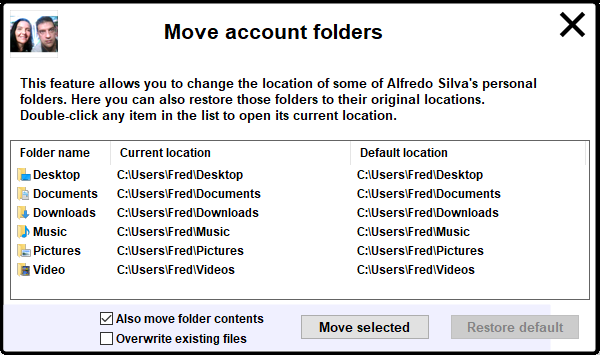 Also move folder contents: When this option is enabled, any existing files in the current location will be moved to the new location. If the new location is in a different volume, files will be copied instead, and then, on successful copy, deleted from the source. Overwrite existing files. This option is only relevant if Also move folder contents is checked. This option controls whether the application should overwrite existing files, when moving them from the current location into the new one. Select the folder you want to move/restore from the list. To move it to a new location, press Move selected. You will need to select the new folder location in the folder browsing dialog box that follows. To restore the folder's original location, press Restore default and confirm. When you're done moving folders, simply close this dialog box by clicking the X at the top right corner. Important: This feature is provided only for administrators to be able to recover user accounts whose passwords have been lost. If you use this feature, any EFS encryped files, personal certificates and stored passwords for the selected account will be lost. You should always use the Set password feature instead, unless you do not know the user account's password. 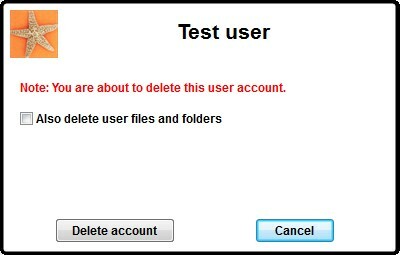 User account names also can not end up with a period. If you need to use one of those charactes in the account name, you will be able to set them in the User display name field of the main Quick user manager's interface. 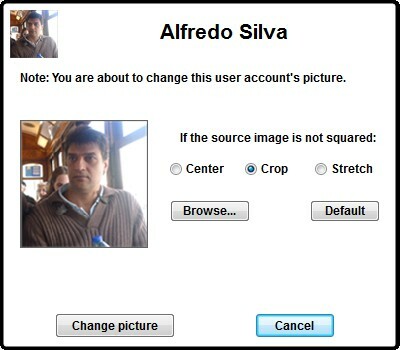 You can also set the picture associated with the new user account using the controls in the User picture group. 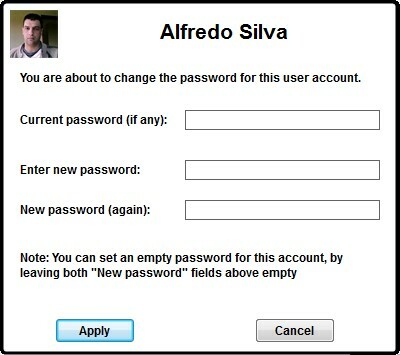 For more info on how to use those controls, see Changing a user account's picture. Press the Online help (F1) link whenever you want to come back to this help page. Press the About this app link to open a dialog box containing extra info about Quick user manager.